What books on making money/economics/the way money works have you read and liked? Discussion in 'General Entrepreneur Discussion' started by ADayattheRoxbury, Apr 14, 2019. I wanted to add the obvious, our resident-in-chief MJ DeMarco's Unscripted has been one of my latest reads, going to also check out his other book The Millionaire Fastlane when I get a chance, but since I have been reading avidly, I was going through Amazon's search and looking for other books about these topics that we all love to read. I love a lot of Michael Lewis's work including Liar's Poker, Moneyball and Flash Boys but while they taught me a lot about interesting topics relating to their own inherent points, they didn't do much to teach me about generating wealth or things of that nature. Anyways, if you guys have any books you like, list some here and maybe why you liked them. 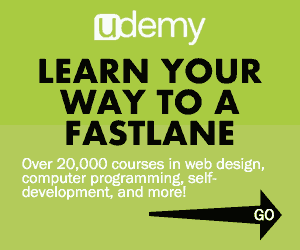 Also, as another side question for MJ, is there any way for me to buy Fastlane through a portal rather than Amazon because I know that Amazon will end up keeping a huge portion of the sale and I would rather it go to the man who has done a lot for the lives of all of us on this forum. If there's not, no big deal, I'll just go the Bezos route. Just wondering. Honestly, it's pretty straight forward, brass tacks material - but I highly suggest Thomas Sowell Basic Economics. lewj24, Andy Black, biophase and 1 other person like this. 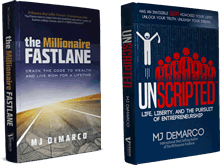 Yeah MTF, I love Unscripted so I'm assuming that I will like Millionaire Fast-lane just as much, I'm going to ask MJ that question I asked about him getting more of the returns from my book purchase. Tried to send this to him in a PM but then found out I'm not allowed to :/. Oh well. Hopefully he reads this. ADayattheRoxbury and Roz like this. Love the 10 day MBA! Steven is a treat to read, makes the information very easy to digest! The main reason I would get an MBA has more to do with connections, something the book can’t provide. The 80/20 Principle by Richard Koch was a fantastic read for me and helped me to optimize my workweek and along with MJ DeMarco, for me to have my F*ck THIS EVENT and completely give up on the old way of doing things (Studying my a$$ off at Harvard, for future profits working for some other guys company!). I can't thank MJ enough to be honest.